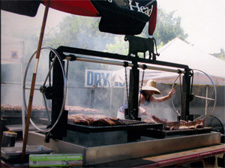 BBQ catering is our specialty! The real deal, Santa Maria style grilling over red oak. Tri-tip, chicken and ribs. 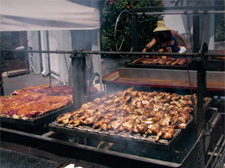 Parties for 50 to 50,000, starting at $16.00 per person, for a choice of 2 meats and 2 sides. Also includes garlic bread, fresh pico de gallo and chips, soda and water, all condiments and paper goods. 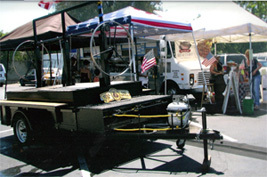 Cooked on-site and served by a professional staff. We are also open to the public, Saturday and Sunday. 5947 Fallbrook Avenue, Woodland Hills, California 91367. Open 10 am to 5m at Jim Fallbrook Market. Go to BBQ for weekend pre-orders.